Mummy says… It was lovely to see Lea home last weekend – the first time since she began Uni. We talked a lot about her future, and one thing we discussed was continuing learning to drive. Lea has had a couple of lessons with her dad, but it has always been really difficult to find places to practice other than car parks….. 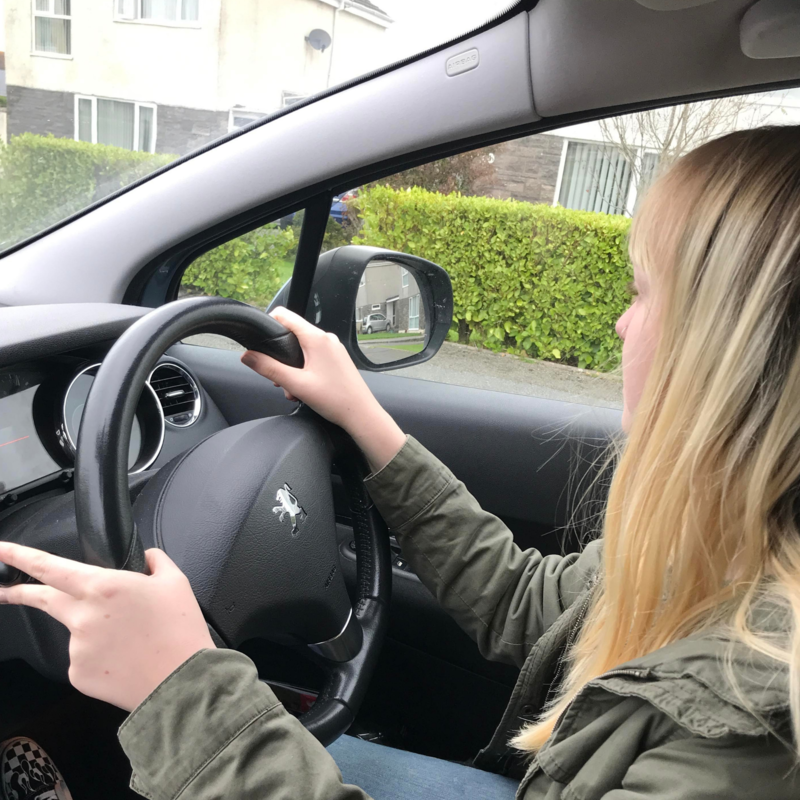 The trouble is getting short term insurance for her to drive a car whilst learning – or as new driver until she gets her own car. Now there is a brilliant answer from Veygo, a new brand from Admiral which offers short-term insurance solutions for learner drivers and new drivers without cars. We were invited by Veygo and Mumsnet to look into this brilliant insurance. Learner drivers benefit from getting as much valuable experience driving on the road as possible to get ready to take (and pass!) their driving test. The DSA recommends 22 hours of private driving practice in addition to lessons with a professional driving instructor and this insurance cover makes it super easy for Lea, and learners like her, to be able to drive a car on the road whilst having the piece of mind knowing she is fully insured. Sounds pretty good doesn’t it? It sure beats driving around car parks and will give Lea the chance to rack up some proper experience driving on the road, without the expense of only having driving lessons with a driving instructor. We gave the Veygo website a go and it is so easy to arrange the insurance cover. You just need a few details including the drivers provisional licence number to get an instant quote. Quote was around £20 for 5 days – I think that is brilliant value – and my insurance is protected too. 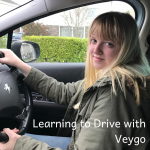 Veygo carried out a recent survey of their Learner Driver Insurance customers who have passed their test and 90% said private practice helped them pass. Additionally, private practice can help cut the cost of learning to drive, which we all know can be super expensive. What do you think of Learning to Drive with Veygo? For more information, and a free quote, please visit the Veygo website. This is a sponsored post. Veygo have paid me to feature the campaign, but hold no editorial control over my content. Learning to drive is stressful enough let alone trying to find insurance. This sounds like a good idea. Veygo sounds like a great place to go if you are looking to be insured in a family members car while learning to drive. I have to admit I learnt fully via instructor but I have wondered about insuring Ash on my car while he learns. Sarah Bailey recently posted…How Much Plastic Do You Waste? We had learner driver insurance for all of my stepchildren, and as you say, it’s great to know your no claims won’t be affected in case of an accident, and it gives peace of mind at a reasonable price. This is a great idea. I don’t think I’d have passed my driving test without the extra hours practice with my dad. This sounds really handy for those learning to drive. I didn’t realise anything like this was available. It’s nice to have the added security that no claims won’t be affected if an accident does happen. This sounds like a really fantastic idea! Is there an age range for this insurance? I haven’t learnt to drive yet, but it sounds like something that’d be really useful. I hope something like this exists when my daughter learns to drive…in about 14 years! This sounds like a great scheme! I’m currently learning to drive and this sounds like a great option as I am struggling to learn everything with my weekly hour lesson alone so it would be good to be able to practice in someone else’s car in between! This sounds brilliant! And it also sounds very reasonably priced. I want to start learning to drive, so I will have to remember this company! This sound like a fantastic idea for those just learning to drive. One less thing to worry about! That is a brilliant idea. Adding a learner driver to your policy can really be detrimental and very costly. Having the assurance that your own policy is safe is really such a bonus. I can’t imagine my children ever learning to drive but this sounds great for when they do! This really is SUCH a good idea! I struggled with this as well when I was learning to drive, and had to pay for an expensive driving instructor. I remember learning to drive. It was super stressful. I wish we had something like this when I was learning to drive. This is a great idea. I love that you can have as little as 2 hours, so flexible! I really want to learn to drive, but there are literally NO spaces with any local driving schools. I’m now tempted to let a friend teach me and use Veygo instead. Wish me luck! My advice as a qualified driving instructor would be to do your research before booking your first driving lesson. Unfortunately, there are a lot of companies and self employed instructors that offer the world and a quick first time pass but fail to actually teach you how to be safe on the roads.